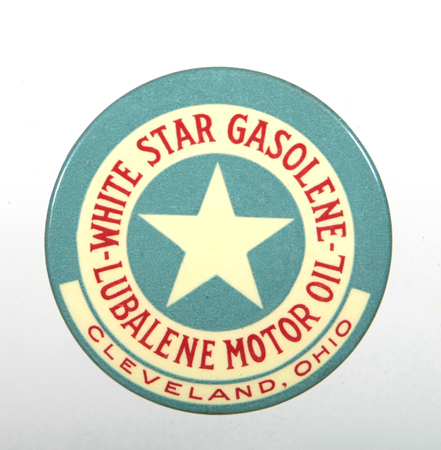 Scarce, early celluloid advertising pocket mirror for White Star Gasolene and Lubalene Motor Oils. 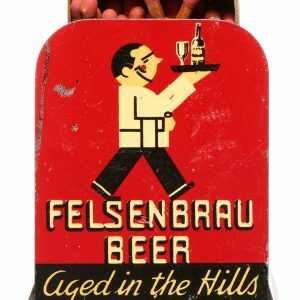 (Cleveland, Ohio). 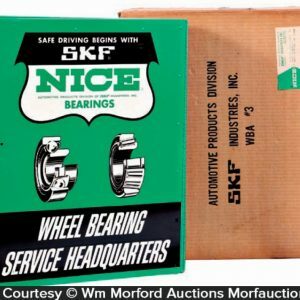 SKU: 61-15. 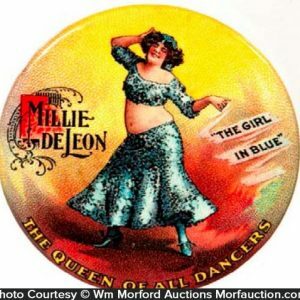 Categories: Oil and Gas, Pocket Mirrors. 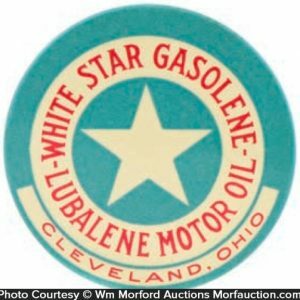 Company/Brand: Lubalene Motor Oil, White Star Gasolene. 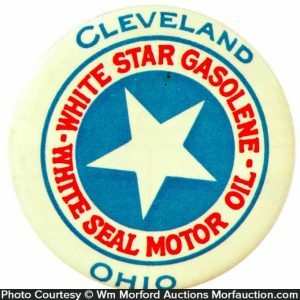 White Star Gasolene Mirror: Scarce, early celluloid advertising pocket mirror for White Star Gasolene and Lubalene Motor Oils. (Cleveland, Ohio). Excellent.